Man United are still keen to land Juventus star Paulo Dybala, and as per reports, their ‘best chance’ to acquire the services of the Argentina international lies with super agent, Mino Raiola. The English giants had been linked with the highly rated attacker regularly over the summer, but weren’t able to sign a concrete deal with the Old Lady for the player’s services. 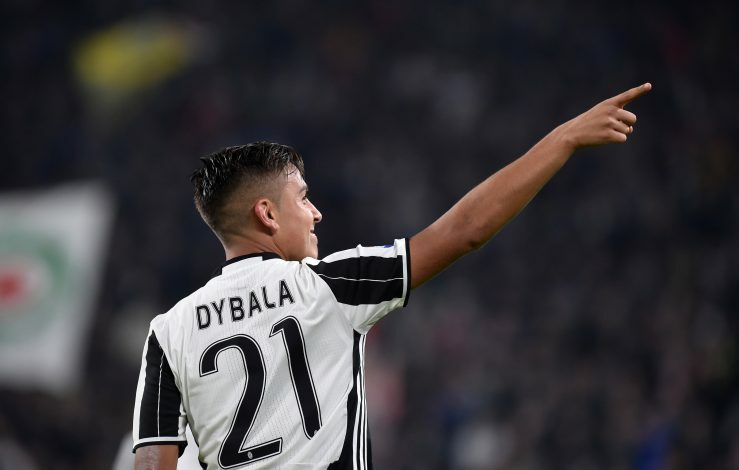 Furthermore, Dybala signed an extension and committed his future to Juve, which pretty much ended any hope regarding a potential deal at the time. However, the 24-year-old might now be looking to explore his options, after having replaced his former agent Pierpaolo Triulzi with his brother Mariano. His newly appointed manager is said to have already made contact with Ligue 1 heavyweights Paris Saint-Germain, in order to discuss a move to Parc des Princes at the end of the season. Meanwhile, as per the report from Italian outlet Calciomercato, United haven’t given up on Dybala just yet, especially with super agent, Mino Raiola, vying to become the Argentine’s representative. Though the Dutch super-agent has ridiculed all such claims, it is believed that he is keen on adding the ace forward to his handsome clientele. As for the Red Devils, considering their relationship with Raiola, if the 50-year-old is able to successfully bag Dybala, the chances of the talented forward moving to Old Trafford would increase massively. Raiola has already helped United land multiple superstars, including the likes of Paul Pogba, Henrikh Mkhitaryan, Romelu Lukaku, and Zlatan Ibrahimovic.